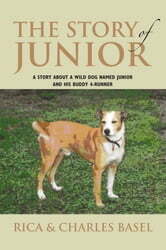 This story is about our dog named Junior. We lived on a mountaintop rain forest in Puerto Rico in the Caribbean. He was born to a pack of indigenous wild dogs that we had adopted. He was the runt of the litter. We didnt expect him to live because he was so frail. We nursed him separately. He grew to be the largest of the dogs in the pack. He continued to live with the dog pack in the rain forest. His was strong, with a very sensitive, gentle nature. When he was about five years old, we left Puerto Rico to return to the United States. We decided to take him and another dog, not from the pack, with us. 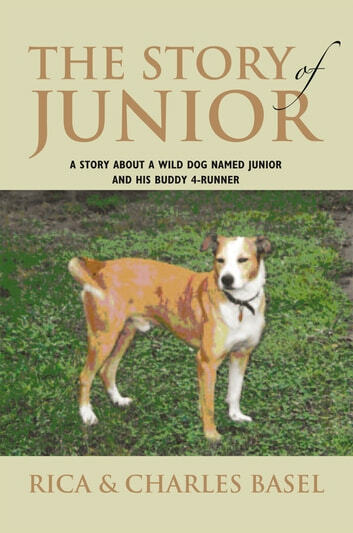 Junior never had a collar on him. He had never been in a car or a house. This is the same dog that has left Puerto Rico on an airplane and is traveling around the United States. This is his story. He came from the rain forest of the Caribbean to the highways of the United States.